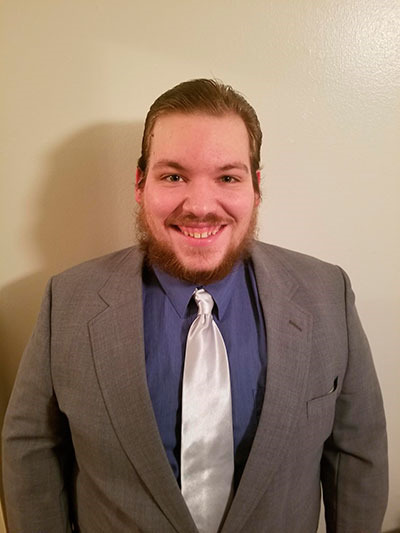 FORT WAYNE – Braxton Matthews, a 2016 Lincolnview graduate and current Purdue University Fort Wayne student, was recently selected for a once in a lifetime opportunity. In May, he and seven other PFW students will head to Italy to take part in the Operafestival di Roma. The Operafestival di Roma allows current students to perform in fully staged productions accompanied by a professional orchestra. To be selected to participate, Matthews had to send an audition tape of him singing two songs to the University of Louisiana, who helps to operate the festival along with the University of Florida and Purdue Fort Wayne. The three week program begins May 22 and ends June 15. The cost to attend the program is $5,000 which does not include airfare or dinner, according to Matthews. After high school graduation, Matthews enrolled at PFW where he is working on obtaining a bachelors degree in musical performance with a focus in voice. Prior to attending PFW, Matthews had never listened to classical music. “Since coming here I’ve been involved with the opera house for three semesters now and my love has just grown since I started it,” said Matthews. “I did musical theatre in high school and this is just advanced musical theatre. Matthews is expected to graduate from PFW in the spring of 2020. After graduation, he’d like to move to a city with an opera program such as Chicago or New York. “My dream job would be to work with an opera company,” said Matthews. Matthews said he is looking forward to exploring Rome, Italy where he is hoping to explore historical sites when he is not rehearsing. “We get to work with world-renowned conductors, producers, as well as voice coaches,” said Matthews.